Janssens have launched their new 2017 brochure, it is nearly three times the size of the previous one at 64 pages. Just click on the image of the brochure to view it on drop box. We can send anyone who would like to view it a link to do so online. Hard copies have not been received yet but will be available free of charge to all visitors to our display area. Glad to say we were involved in helping in a small way with this brochure by editing text and supplying images. 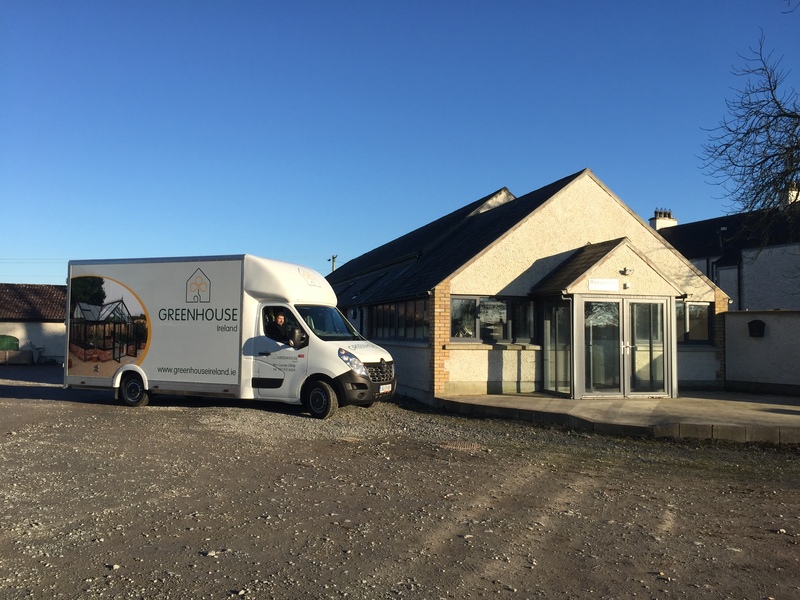 In the near future we will be launching a new website called Greenhouse Ireland which will be dedicated to present our premium quality Glasshouses, specifically Griffin Glasshouses and Janssens. This new website has actually been in development for over 12 months now, but we hope to have it launched in the coming month. In the meantime we have taken delivery of our first vehicle with the new branding. 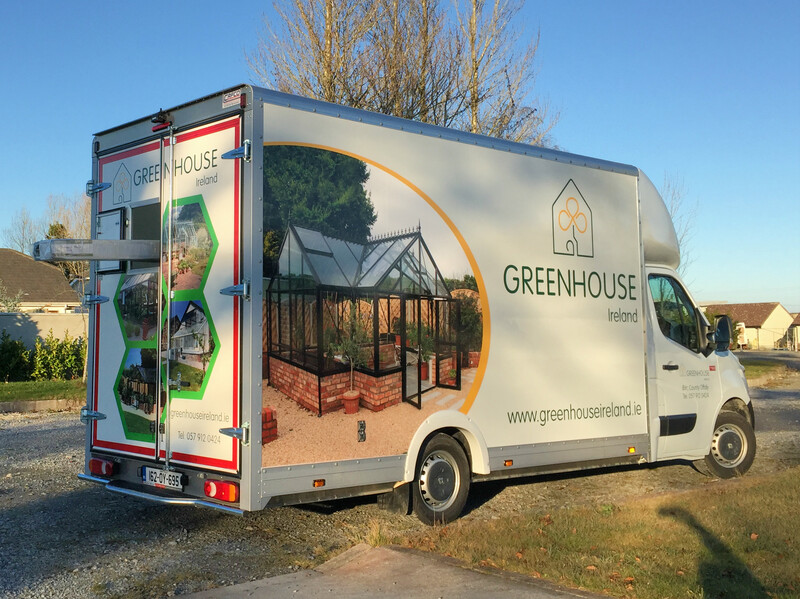 This vehicle has been specially kitted out for handling our Glasshouses which have 2.2m high pallets of glass and up to 6m lengths. The van which is a Renault Master has a specially low chassis to provide safe access and egress and air suspension to allow us to compensate for heavy pallets on one side of the van. Hopefully coming to your door shortly. It’s easier at this time of year to buy imported lettuce than grow it in your greenhouse or to grow rocket, endives and oriental greens instead, but lettuce is preferred in many households and home-grown is much fresher. Choose varieties that are tolerant of short days and low temperatures, and resistant to mildew. ‘Little Gem’ and ‘Winter Gem’ are cos-type varieties, ‘May Queen’ and ‘All the Year Round’ are butterhead types, and ‘Salad Bowl’ is a looseleaf type for cut-and-come-again harvesting. If in doubt check the information on the back of the seed packet. You can sow the seeds thinly and 1cm deep in the greenhouse soil. Keep the drills about 30cm apart and thin the plants to the same spacing when they are big enough. This wide spacing leaves plenty of air between plants to discourage mould and slugs. Sow a little every two to three weeks for a succession of crops. It’s easier to sow the earliest batches in cell trays with small cells. Sow just a few seeds in each. Keep them indoors to avoid slugs and mould, and don’t let them get warmer than 25°C (77°F) or they won’t germinate. Thin the plants to one per cell with a fine-pointed scissors as soon as they are big enough to work with, and plant them out as soon as their roots have bound the compost in each cell together. Keep the plants well watered, and ventilate the greenhouse whenever the weather allows. Water in the morning to allow the plants and soil surface dry out before night. Protect the plants from slugs and remove all weeds, dead leaves and rubbish. 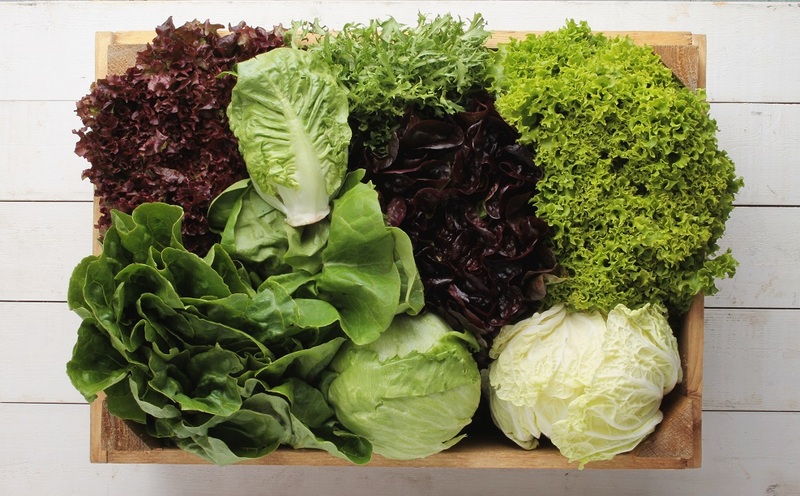 Harvest hearted lettuce by pulling whole plants, and looseleaf types with a scissors, leaving the plants to grow more leaves. 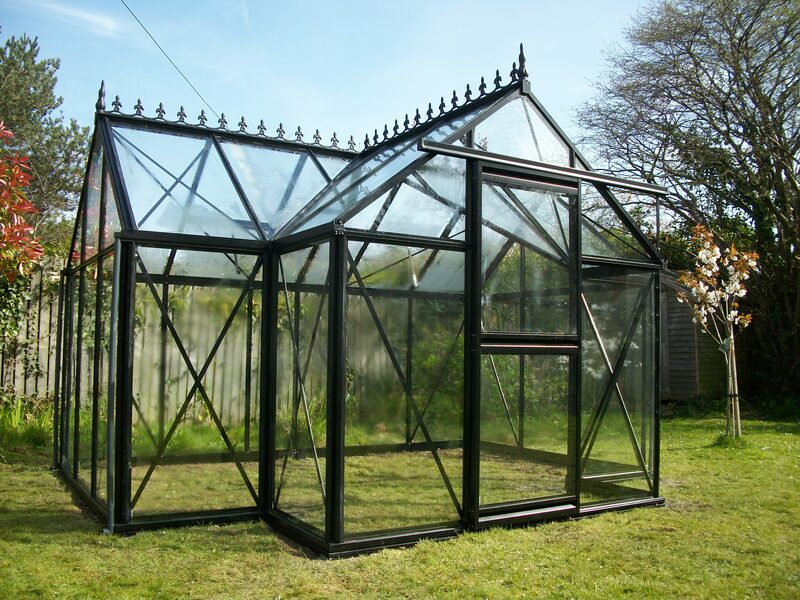 Clearing out your greenhouse for the winter gives you a chance to clean it and let in more light, but also to look after the soil. If you grow tomatoes and other crops in grow-bags or containers, don’t put the peat from them in the bin. It is a scarce and dwindling resource that should be used to the full; use it to improve the soil elsewhere in your garden, or mix it with soil for planting trees and shrubs. Alternatively, give it to a neighbour who can use it. The organic matter in greenhouse soil decomposes quickly in the warm conditions. You need to replace it or the soil becomes hard and cloddy, and plants grow poorly. Sowing green manure, digging it in and waiting for it to rot down in the soil delays the next crop; the quicker option is adding well-rotted garden compost or other organic matter. Level the soil and spread the compost on top. You could leave it there and let nature take its course, but read up on no-dig gardening first. If digging it in, turn it under with a spade. 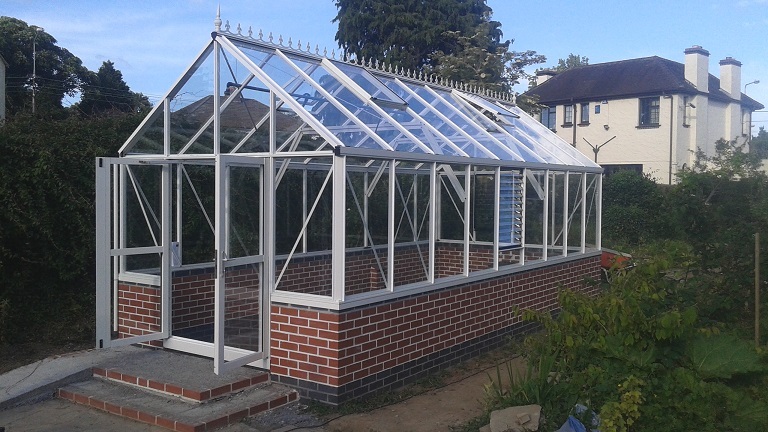 Work slowly to avoid damaging the sides or cladding of the greenhouse. 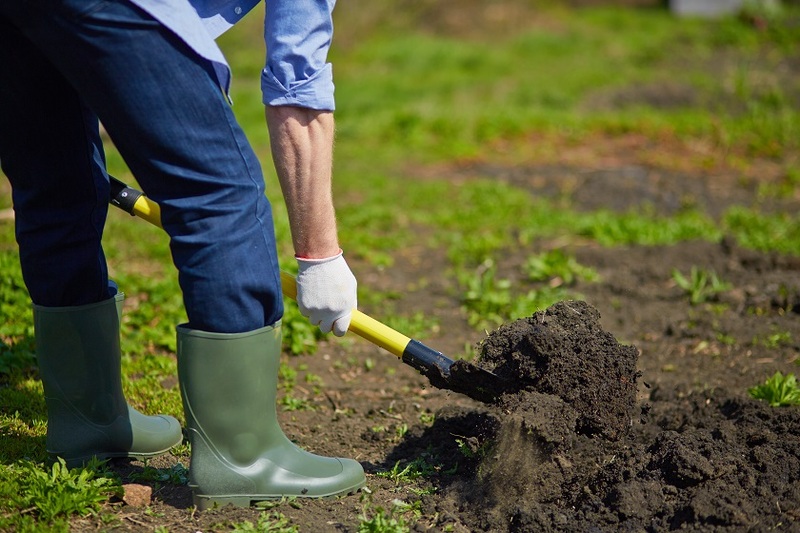 A small greenhouse is one of the few places where a short-handled back-breaker spade might be better than a proper long-handled one. Leave it to settle for a few weeks before sowing or planting in another crop. October is the month when production of greenhouse tomatoes, aubergines and peppers usually comes to an end. With falling temperatures and longer nights, growth is slowing down and your plants will be less able to ripen fruit. Remove all flowers as they are unlikely to set usable fruit in time for them to ripen this late. Thin out some of the fruits already set, especially the smaller ones. Stop shoots from growing any more by cutting off their tips. The above actions divert all the plants’ resources into filling the remaining fruit, so you get bigger, riper, tastier fruit instead of many small unripe ones. Do this earlier or later depending on your location and how mild the autumn is. With the rising humidity, disease control becomes more important by the day. So make sure to remove any dead leaves, spent plants, weeds, rubbish and dropped fruits from the greenhouse. Open the vents or doors on sunny mornings, but close them up earlier in the evening before it gets too cold. Feeding should have ended in September, and watering should be reduced to match the plants’ lower needs. As a rule of thumb, don’t water until the soil surface is dry. Avoid wetting the leaves. By about mid-October it can be too cold to ripen tomatoes well. If so pick all the fruit and ripen them indoors in a dark, airy cupboard. Don’t leave them on a sunny windowsill: if they once get heated above 35°C (95°F) the red pigment is destroyed and they stay pale and blotchy. Some people put a ripe apple or banana with them to speed up ripening with the ethylene gas it gives off. Remove plants when their fruits are all picked, and clean up the greenhouse for the winter. 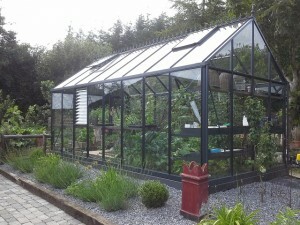 The newest addition to our display area in Birr is this lovely Junior Orangery Glasshouse from Janssens. Using ‘box section’ aluminium profiles and 4mm toughened glass this greenhouse is good and strong. The protruding Porch makes for a lovely and unusual feature in the garden. It comes in black only – or as Henry Ford said about the Model T car – every colour you want so long as it is black. The Junior Orangery measures 3.14m x 3.96m giving room for a the essential table and chairs to relax in along with some plants to talk to and enjoy 🙂 The price for this impressive Greenhouse is only 3,515 euro as a DIY kit, we do offer a construction service the price for which varies with location – please enquire for a price if you are not DIY inclined. We need a flat and level base (or flat and level lawn) to be in situ before we arrive to build it. You are welcome to come and see this and other models at our display area in Birr. Paperwhite narcissus is a type of white scented daffodil which can be forced to flower for Christmas. A greenhouse makes it easier to grow better blooms. You need to buy specially prepared bulbs, and compost them afterwards because they rarely flower normally again. Store the bulbs in a cool, dry, dark, airy place until 4-6 weeks before you want them to bloom. 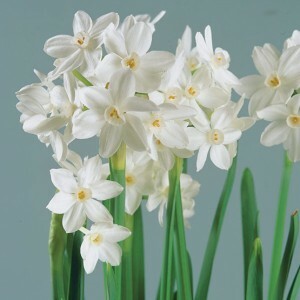 Place them on a 5-centimetre (2”) layer of damp (not wet) bulb fibre or potting compost or even pebbles in a container such as a shallow bulb-pan. For small containers an odd-numbered group of (for example) three or five bulbs looks better than an even-numbered group. They should be close together but not touching each other or the sides of the container, with their pointy ends upwards and leaning in towards the middle of the container. Add a little more compost or pebbles to firm in between the bulbs but leave their tips exposed. Place the container in a cool spot away from direct sunlight. Check them every couple of days to make sure they don’t dry out completely, but never add enough water to reach the bottoms of the bulbs or they will rot. As soon as the green shoots appear, move the containers to your greenhouse and give them as much light as possible. The more light and the less heat they get the less leggy and floppy the stems will be. Keep the greenhouse cool by ventilation but frost-free at nights, and make sure the plants don’t dry out. Turn them often to keep growth regular and upright. Bring them into the house when the buds are well formed, and the flowers will open in a few days. the construction). One can see the elegance of the surrounding landscaping and ground works, not due in small part to Patricia being an Interior designer. Beautiful job. We just built this lovely Janssens Helios ‘Antique’ Greenhouse from Janssens for a happy customer in Blackrock, Dublin. The customer uses it as a space to sit in and enjoy his garden in – he even has installed an electric kettle to make cups of tea and coffee. 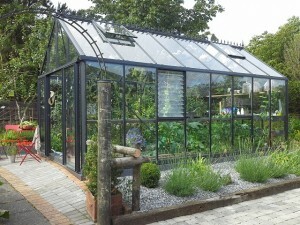 The budget for this stylish and very strong Greenhouse is just under 11,000 euro on walls prepared by others. 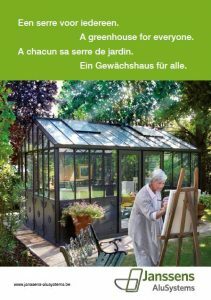 A Polydome customer asked recently: “What books are available on using greenhouses?” Since you need to know how to get the best from the greenhouse you buy, it’s worth checking out. And it’s good to read up on crops and techniques you haven’t tried yet. One of the best-selling books is Dr. D. G. Hessayon’s The Greenhouse Expert. One of a large series of titles on gardening, it is widely stocked in bookshops and garden centres and normally not too expensive. It is well laid out, and the comprehensive index at the back allows you find whatever information you need quickly and easily. Ornamental and flowering plants are covered in detail and vegetables and fruit in less detail. On the debit side, it is geared almost exclusively to glasshouse gardening with only a nod to polytunnel use. For polytunnels you might try The Polytunnel Book by Joyce Russell (published by Frances Lincoln). It is well laid out and illustrated, and highly practical, with a good but slightly complicated index. Subtitled fruit and vegetables all year round it does what it says on the cover. Flowering and ornamental plants don’t figure at all. Many more titles are available in bookshops. Bear in mind that books published for the United States market relate to climates often very different from ours, and quote figures in inches and pounds. There’s nothing like browsing bookshelves and seeing a book’s contents before you buy, but you could try online sites such as the Royal Horticultural Society’s bookshop at http://www.rhsshop.co.uk/category.aspx?id=10000100 or the likes of Amazon at http://www.amazon.com/s/ref=nb_sb_noss_1/177-7057071-0199916?url=search-alias%3Daps&field-keywords=greenhouse+books , or type ‘greenhouse books’ into a search engine.